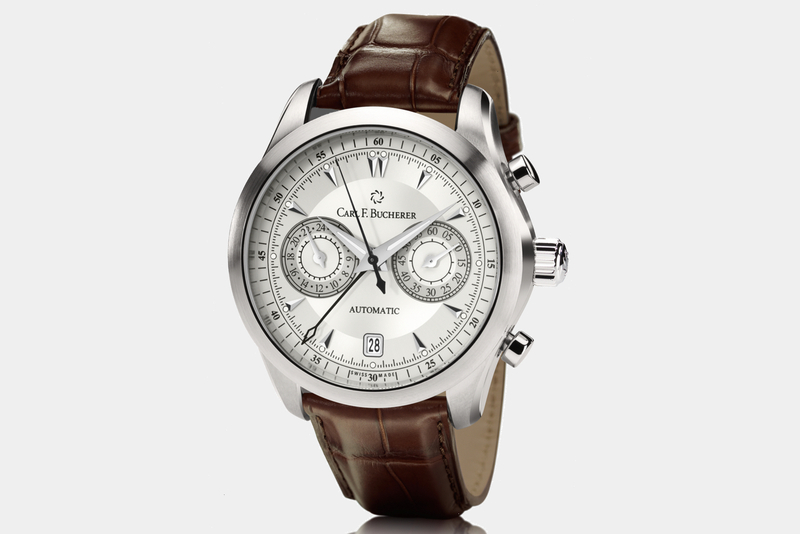 Carl F. Bucherer presents the Manero CentralChrono with both minutes and seconds displayed via central hands. Chronograph seconds are commonly displayed via a central hand, whereas chronograph minutes typically are not. 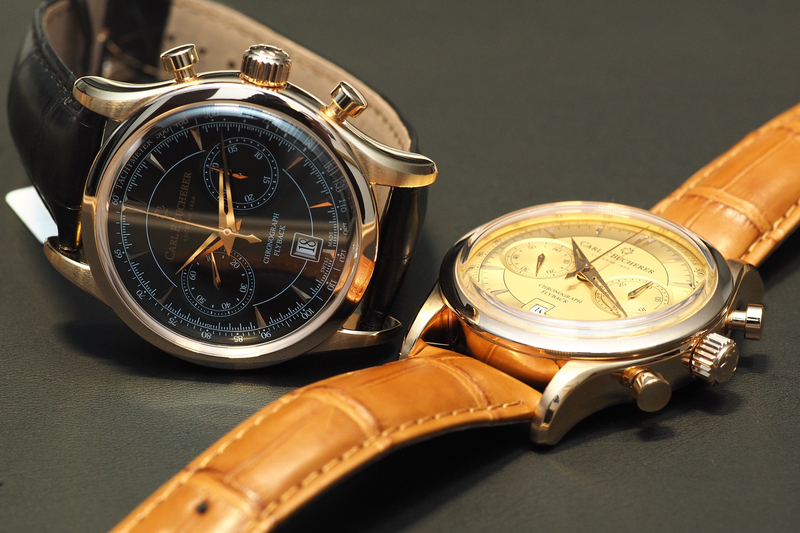 In this case, both chronograph seconds and minutes are shown via central hands. This unique configuration results in better legibility when reading the chronograph time. 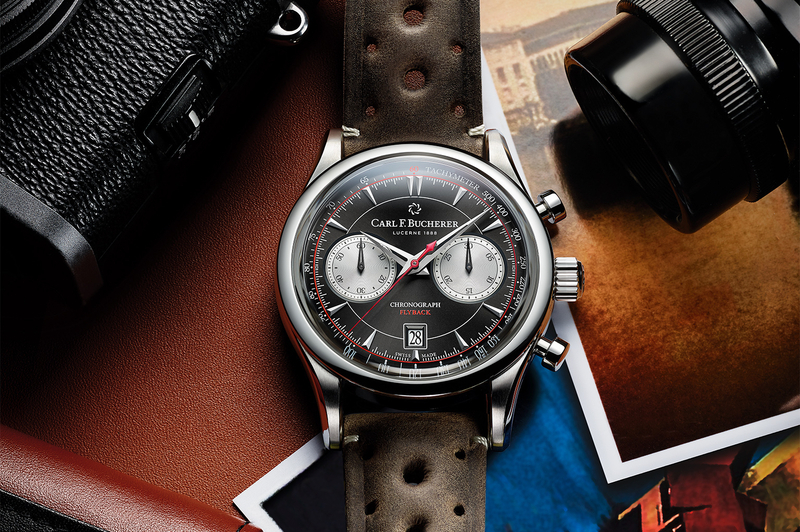 The Manero CentralChrono is powered by the CFB 1967 caliber. The 47 jewel Swiss made self-winding caliber runs at 28,800 vph and has a power reserve of 44-hours. Functions include chronograph central minutes and seconds counters; date (at 6 o’clock), 24-hour (at 9 o’clock), hours, minutes, small seconds (at 3 o’clock). The case is stainless steel and measures 42.5 mm by 14.24 mm. 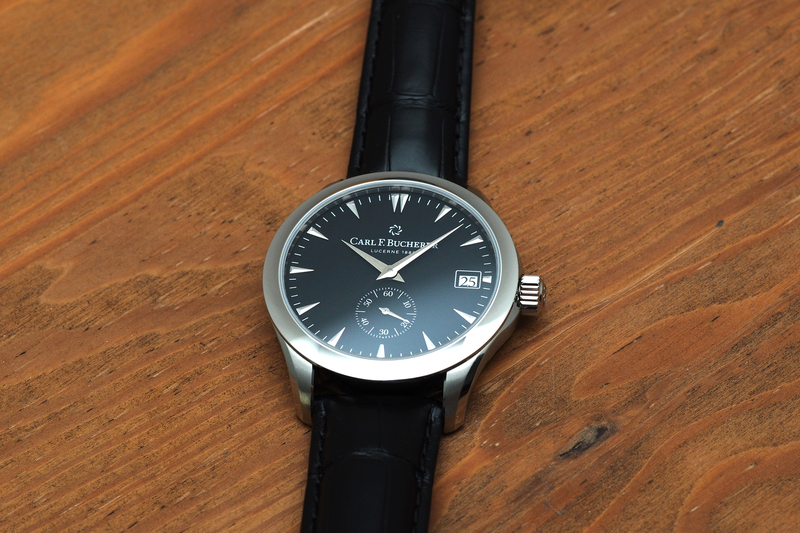 A domed sapphire crystal with a reflective coating on both sides protects the dial. Caseback with sapphire crystal allowing a view into the movement. Superluminova coated hour and minutes hands and hour indices. Water-resistant 30 meters.